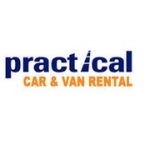 Welcome to Practical Car Hire Glasgow and Van Rental Glasgow the official car rental and van hire location for Glasgow City, Scotland and the surrounding vicinity of Glasgow. We specialise in car and van hire to the local airport at Glasgow Prestwick and the train stations. This includes the railway stations at Croshill and Queens Park. Local trading, business and retail parks of Glasgow City are covered too. If you are visiting the city on business or leisure and staying at any of the many guest houses or hotels in the area just notify us where you are residing and we may arrange delivery there as well. We offer a meet and greet and out of hours car hire service, by prior arrangement. The range of car rental vehicles operated is comprehensive. Please contact us with your specific car rental requirements. Commercial renters can choose from courier vans, short wheel base (swb), long wheel base (lwb) and Tail Lift Luton Vans. Short and long term rental enquiries from residents and businesses alike are welcomed and preferential hire terms may be offered for extended rental durations. We also specialise in one way self drive car rental. This facilitates transfers from Glasgow or Glasgow Prestwick airport to other destinations or airport terminals throughout mainland United Kingdom (U.K.). Onward travelers can collect their rental car from Glasgow City or Glasgow Prestwick International airport and arrange recovery of the hire car from most regional and international airports anywhere in England, Wales or Scotland. This self drive hire facility can also be used for other U.K. destinations that are not necessarily airports such as business addresses, homes or any of our many rental locations situated throughout the country. A range of vans are available too for one way hire from small courier style vans up to the long wheel base (lwb) van. Please go to our one way rental page and submit your particular requirements. Had a Great Experience with Practical in Glasgow today. very easy to book especially since all automated.